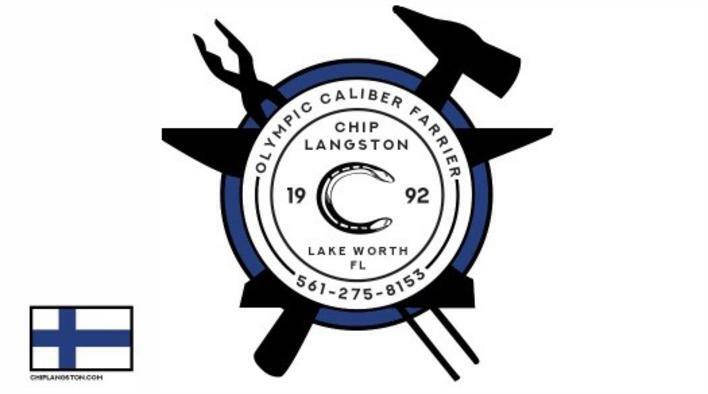 Chip Langston is an Olympic caliber farrier and second generation horse person with over 26 years experience shoeing performance and competition horses. 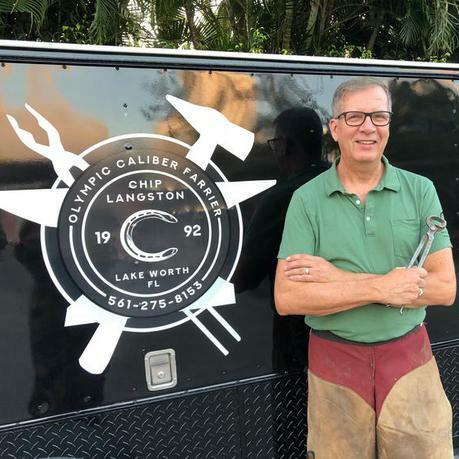 He worked with horses and riders in the Middleburg, VA area for many years, but now provides his extensive skill set, reliability, and on-time service to the greater Palm Beach County horse community. Chip is also an artist and master smith. 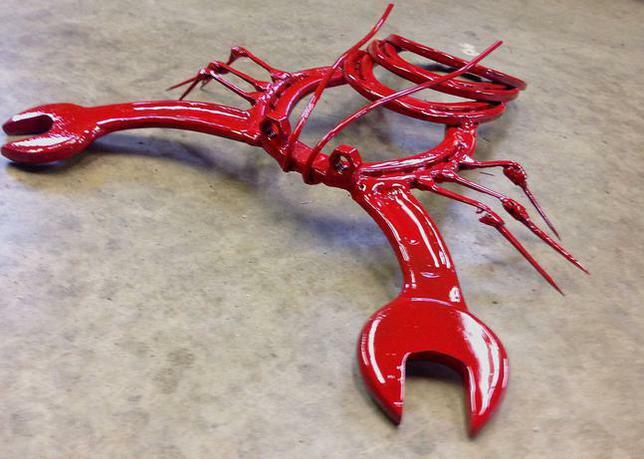 His artist's eye creates unique horseshoe sculptures, and his techniques of imparting colors to steel and copper make his works one-of-a-kind and unforgettable. His critical eye for static and dynamic limb balance has kept many of his clients sound and competing for years, and he has helped many horses recover from injuries and resume competing. Along with hot, cold, and corrective shoeing he's an expert in glue-on shoes, Equilox, Equithane, hoof rebuilds, radiograph reads, and negative palmer angle shoeing. Although he specializes in hunter/jumpers, dressage, and eventers he's worked with nearly every kind of discipline including endurance horses, fox hunters, carriage horses, and English and Western pleasure horses and would provide superb farrier care to any of your horses.